The power of Somatics & Neuroplasticity. In this week’s blog I am going to discuss the fascinating and ever expanding (no pun intended!) subject of Neuroplasticity. Back in 1949, the psychologist Donald Hebb became known as the father of the field of Neuropsychology and created the expression “cells that fire together, wire together.” He introduced us to the subject of Neuroplasticity. So what is Neuroplasticity? Basically it is a general term used to describe the fact that the brain changes according to the experiences we encounter. These experiences can be in the form of mental habits, speech, behaviours, actions and physical injury. So let us consider how Neuroplasticity can shape our mind and body (soma) on a daily basis for the good or detriment of our health and well being. Daily practise or habitual actions of a certain movement, behaviour or thought creates a wiring in our brain so this becomes the dominant action. We are literally rewiring our brain with an ongoing practise. As we are viewing neuroplasticity in the context of somatic movement, muscle and behaviour, let’s consider the analogy of our biceps. If you want to build big biceps, what do you have to do? You have to dedicate time to do arm curls. You are CONSISTENT with your arm curls week after week. Initially you won’t notice any changes, but over time you start to feel and see the results. It isn’t enough academically or intellectually to understand that working your arms makes them bigger. It is actually putting the time in that creates the change. It takes commitment and consistency. When we practise mindfulness with Total Somatics, we will often feel changes and a reduction in muscle tightness and pain after our initial practise. But sometimes we find the focus or mindfulness of noticing the sensory feedback and other cues I encourage you to look for, to be a challenge. We are so use to filling our minds with data and working hard and fast. To actually wind down and focus on what we feel, sense and notice takes regular practise. But your brain is really smart and it can do it. Due to the discovery of neuroplasticity we know for a certainty that consistent somatic practise will create new healthy habits. These new neural pathways will reduce the influence of habits detrimental to our health and well being. I remember back in the year 2000 a study was conducted on London taxi drivers. They are a breed of their own and quite impressive when they are behind the wheel! Not only can they tell you some entertaining stories and jokes, but at the same time they can navigate around the streets of London and not get stressed out with the congestion and road works! Neuroscientists studied London taxi drivers and noticed that the daily navigation of London streets resulted in an increase in grey matter volume in the hippocampus. The hippocampus is an area of the brain critical for spatial navigation. So regular practise of driving along roads and seeing landmarks helped grow their brain space or neuroplasticity. Irrespective of the age of the taxi driver, Neuroplasticity was still happening. So how can we use neuroplasticity in the area of Somatics? As we have learnt, regular practise of something wires the brain to make this an everyday activity, becoming the dominant action, movement, posture or behaviour. So if we slump over our keyboard every day for years, our brain will think this is the “new normal.” It will constantly hold certain muscles tight to maintain this posture. So we start developing rounded shoulders, back pain and short hip flexors. We can stretch but we have learnt from one of my previous blogs - “What is the difference between stretching and pandiculation?” (https://totalsomatics.com/what-is-the-difference-between-stretching-and-pandiculation/) that stretching is merely a spinal cord reflex action. It doesn’t involve the brain and so will not make lasting changes. Stretching doesn’t enhance the actions of the pre-frontal cortex which is involved with focus, awareness, concentration, decision making and emotional intelligence. When you stretch you are not noticing the sensory motor actions of the muscles. You are just holding the muscles in a static pose and breathing through the stretch. When we pandiculate, which involves mindfully contracting, releasing and relaxing muscles, we are noticing where we have conscious or voluntary control. We notice where the brain is holding habitual muscular patterns of tightness. During your somatic movements, I encourage you to notice sensory feedback in various forms. This is where we really have to slow down our breathing and movement to sense and feel what is really happening. This is a powerful practise of mindfulness. Regular Mindfulness with Total Somatics produces structural changes in the brain. These changes not only impact your mood but also influence the way signals from peripheral areas of your body such as pain are interpreted. When we practise somatics, we know it is first and foremost ‘cortical learning.’ So it is not about how elaborate our movements should be. Somatics creates natural movement patterns which your brain has simply forgotten how to create. If we have been in a lot of pain, we know our movement can be limited. So in Somatics when this happens, I teach you to visualise first to ensure the wiring in the brain starts to “light up.” Then we introduce micro movements until you sense and feel you can make the movements a little bit bigger. We are creating movement integration back to our soma (mind and body). We can only allow the brain to learn this information if the central nervous system is relaxed and conducive to retaining new information. So if we are pushing through pain, we are slowing down the cortical learning phase and creating a stress response in our body. So how can you learn these powerful yet gentle skills? How can you develop mindfulness? How can you reduce pain, move freely and return to the activities you love to do? I have designed a structured online program to help educate and empower you in the area of Somatics. 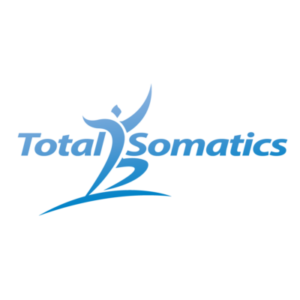 Total Somatics is the first structured online program in the world which thousands have joined and found it to help address areas of pain, poor mobility and stress. My online program contains 8 weeks of content with an additional 2 weeks online access. In January 2018, I will be releasing Movement Patterns part 2. My programs are designed in the format of layered learning. So the skills you develop in Movement Patterns part 1 with blend beautifully with Movement Patterns Part 2. 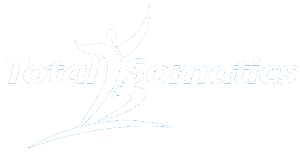 We delve deeper into areas such as mindset, nutrition, additional somatic movement sequences and many more exciting tools and skills you can use to bring your somatic practise and awareness to your daily activities. To learn more visit www.TotalSomatics.com.